Does your first grader know where day and night came from? Or how the land and seas came to be? Do you want to teach him about God's creation—but not sure how? Alpha Omega Publications has the perfect solution—the LIFEPAC 1st Grade Bible Unit 1 Worktext! Made especially for your young learner, this colorful, step-by-step worktext includes fun coloring activities, along with bright, engaging illustrations to capture your student's attention. This first, in a series of ten first grade Bible worktexts, teaches basic Christian values with solid Scripture-based content. Topics in this Alpha Omega curriculum include heaven, day and night, earth, land and sea, plants and animals, people, and more! But that's not all! The LIFEPAC 1st Grade Bible Unit 1 Worktext has diverse, creative lessons that include circle-the-answer questions, coloring pictures of God's creation, and reading simple Bible verses (KJV). And unlike over-sized textbooks, this easy-to-follow, consumable worktext will motivate your child to complete self-paced lessons with its smaller size! Just imagine the sense of accomplishment your child will enjoy as he finishes this worktext in three to four weeks! Most importantly, this LIFEPAC worktext uses mastery learning techniques and self-tests to reinforce concepts and solidify comprehension—plus one removable teacher-administered unit test. What could be more reassuring? So, why are you waiting? 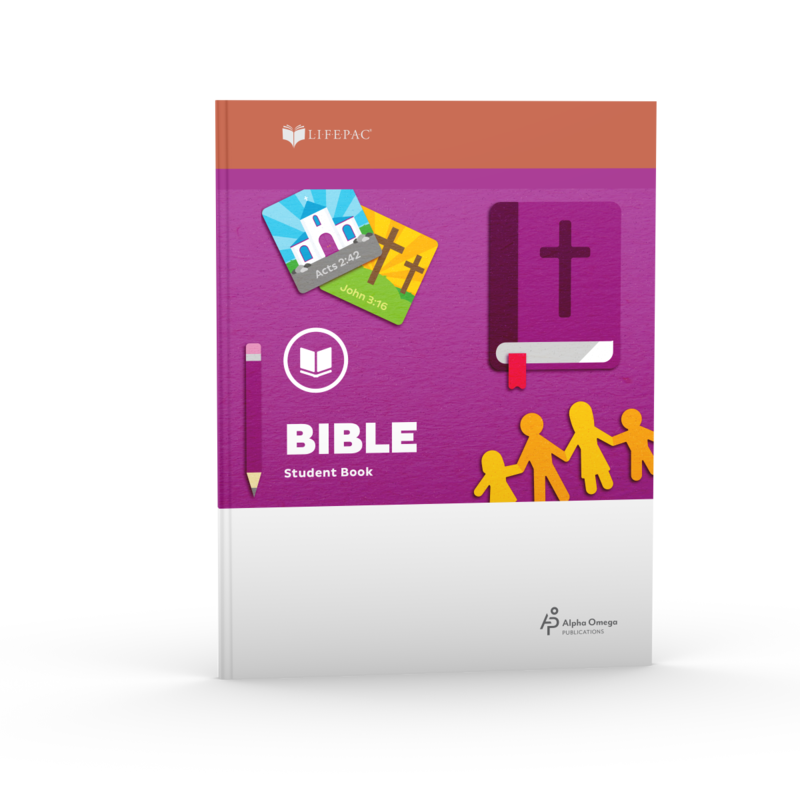 Just order the LIFEPAC 1st Grade Bible Unit 1 Worktext to start teaching Bible today!